ISIS launched spoiling attacks across Iraq to relieve pressure by anti-ISIS forces on multiple fronts. ISIS’s attacks follow operations by the Coalition and ISF and Iraq and the Coalition-backed National Democratic Forces in Syria to constrain ISIS on both fronts. In a recent press conference, Operation Inherent Resolve spokesperson Col. Steve Warren cited ongoing anti-ISIS operations in Baiji, Makhoul, and Sinjar in northern Iraq as well as Hit and Ramadi in western Iraq, combined with operations in Shaddadi and Deir ez-Zour in southern Syria. Following Iraq’s provincial council elections on January 31, 2009, the political parties that captured seats in the provinces of the mainly Shia south scrambled to form ruling alliances. 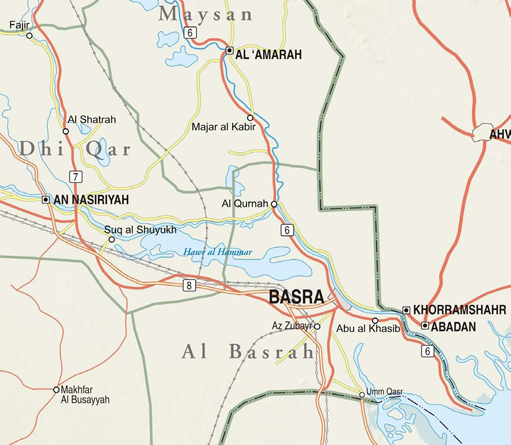 Operation Knight's Charge was an Iraqi operation to root out Shi'a militias in Basra. Operation Promises of Peace was an Iraqi offensive in Maysan province against the Jaysh al-Mahdi (JAM). The Sadrist Movement has steadily fragmented as a result of the Surge, competition among internal factions, and Prime Minister Maliki’s consolidation of power.